Our aim of guidelines is to have a summary of best practice guidance from leading organizations around the globe to support all stakeholders involved in Innovare Academic Sciences (IAS) publishing. IAS guidelines are written for societies, editors, authors, reviewer, students, funders for transparency as well as for the quality research publication. Members of IAS journal publishing teams have a key role to play in addressing possible cases of data fabrication, falsification, plagiarism, image manipulation, unethical research, biased reporting, authorship abuse, redundant or duplicate publication, and undeclared conflicts of interest. IAS Follow the guidelines of COPE for the misconduct in research. IAS educate about image manipulation and, where appropriate, might check images. We ask authors to declare where manipulations have been made. IAS ask from the author that Specific features within an image should not be enhanced, obscured, removed, moved, or introduced. Allegations of alleged misconduct that have specific, detailed proof to support the claim should be checked appropriately, whether they are raised secretly or by named "whistle-blowers." COPE has a policy for the editors to respond to communication from whistleblowers. 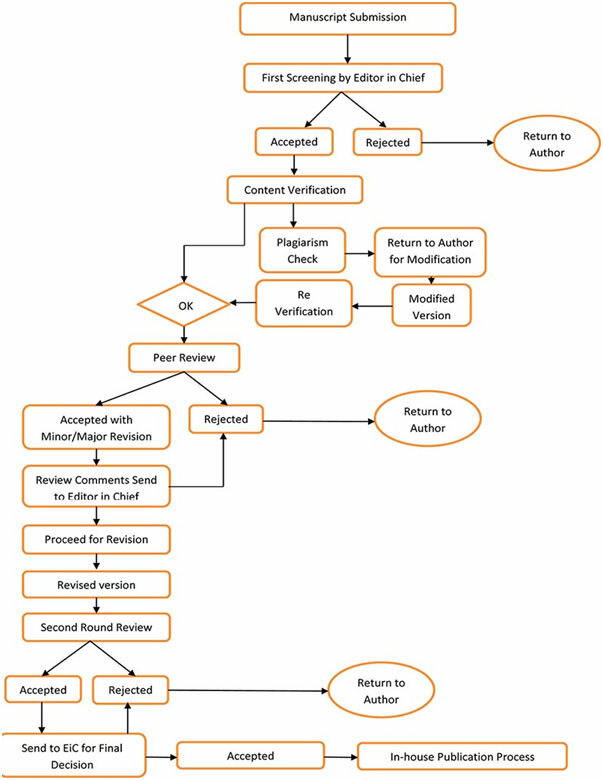 If a paper is published and later found to be redundant, the editor should refer to the COPE Flowcharts and should consider working with their publisher to retract the duplicate paper. IAS asks from the author regarding patient consent as well as ethical approval and maintain the confidentiality and follows different policy for the diverse subject journal. Clinical study must be conducted according to the Declaration of Helsinki principles, as per the guidelines of the International Committee of Medical Journal Editors (www.icmje.org) with regard to the patient’s consent for clinical research or human participation in a study. "Non-essential identifying details should be omitted. Informed consent should be obtained if there is any doubt that anonymity can be maintained. For example, masking the eye region in photographs of patients is inadequate protection of anonymity." In the social sciences and humanities, there are numerous ethical guidelines for researchers working with human participants. Social science and humanities researchers regularly work with audio and video materials gathered in public places where there is no reasonable expectation of privacy. They also use materials derived from broadcast sources, as in some political science or cultural studies work, where copyright must be addressed but where consent issues do not arise. However, wherever appropriate, social scientists are also responsible for protecting the confidentiality of human participants, and obtaining informed consent from all participants by openly communicating any and all information that is likely to influence their willingness to participate (for example, sponsorship, purpose and anticipated outcomes, and possible consequences that publication of the research may have for participants). Guidelines include those from the American Sociological Association, International Society of Ethnobiology, and American Anthropological Association. "Informed consent does not necessarily imply or require a particular written or signed form. It is the quality of the consent, not its format, which is relevant." Exceptional cases might arise where gaining an individual's free prior informed consent is not possible but where publishing an individual's information or image can be demonstrated to have a genuine public health interest or to serve an important public need. In cases like this, before taking any action editors should seek and follow counsel from the journal owner, the publisher, and/or legal professionals. Case report: The best policy is for journals to require that authors confirm whether explicit written consent to publish has been received from any people described (for example, in case reports), The CARE guidelines are useful for editors who publish case reports. Registering clinical trials: The World Health Organization and Declaration of Helsinki both suggest that clinical trials should be registered prospectively before participants are enrolled. The International Federation of Pharmaceutical Manufacturers and Associations also requires its members to register trials. Legislation varies. For example, the US Food and Drug Administration Amendments Act of 2007 do not require registration for Phase 1 studies. IAS Medical journals ask from the author for Clinical trial registration numbers should be included in all papers that report their results. A suitable statement about this in journal instructions for authors might read: "We require that clinical trials are prospectively registered in a publicly accessible database. Please include the name of the trial register and your clinical trial registration number at the end of your abstract. If your trial is not registered or was registered retrospectively, please explain the reasons for this." Replacement - use of non-animal methods; Reduction - methods which reduce the number of animals used; Refinement - methods which improve animal welfare." IAS asks authors to confirm that ethical and legal approval was obtained prior to the start of the study, and state the name of the body giving the approval. Authors should also state whether experiments were performed in accordance with relevant institutional and national guidelines and regulations. Editors have to check all the ethics related to the animal study and If concerns are raised or clarifications are needed, they may need to request evidence of ethical research approval or question authors. For life science journal IAS Journals should ask authors to inform them at the time of manuscript submission if their study has the potential for both benevolent and malevolent application. This is often referred to as "dual use research. "Journals must ask these authors to conform to the National Science Advisory Board for Biosecurity (NSABB) guidelines for Dual Use Life Sciences Research. The June 2007 NSABB report presents a useful description and discussion of "dual use research of concern." IAS requires authors to agree to a data availability statement with all submissions. The statement requires that authors must make all original data underlying the findings described in their manuscript fully available upon request by IAS. Failure or refusal to provide these data upon request will be grounds for rejection if the manuscript is under review. Authors are expected to maintain all original data for a minimum of 6 years after the final publication date of their article. Accurate and complete reporting enables readers to appraise research, replicate it, and use it fully. IAS Editors encourage authors to follow their discipline's guidelines for accurate and complete reporting of research to evaluate the methods and results so that readers can reach their own conclusions. IAS follows the double blind peer-review procedure for submissions of all manuscripts to its journals. All submitted articles/eBook chapters are subjected to an extensive peer review in consultation with members of the journal’s editorial board and independent external two reviewers. All manuscripts/chapters are assessed rapidly and the decision based on all the peer reviewers' comments, taken by the journal’s Editor-in-Chief, is then conveyed to the author(s). Submissions from the Editor-in-Chief will undergo independent peer-review and will be submitted to another Editor for his decision on acceptance. IAS follows COPE Ethical Guidelines for Peer Reviewers. IAS Editors aim is to ensure timely peer review and publication and should avoid unnecessary delays. Editors should consider how best to share information with authors in time. Online publication can provide the fastest route to publication and, therefore, to placing peer reviewed research information in the public domain. "A conflict of interest exists when professional judgment concerning a primary interest (such as patients' welfare or the validity of research) may be influenced by a secondary interest (such as financial gain). Perceptions of conflict of interest are as important as actual conflicts of interest." Strict IAS policies preventing people with conflicts of interest from publishing might encourage authors to conceal relevant interests. Potential conflicts of interest include affiliations, financial relationships, personal relationships, or funding sources that could be perceived as influencing an author’s objectivity regarding the manuscript content. Conflict of interest disclosures will be published in a footnote accompanying the article. Financial contributions to the work being reported should be clearly acknowledged, as should any potential conflict of interest. Editors should clearly explain what should be disclosed, including the period that these statements should cover (for example, 3 years). Editors should ask authors to describe relevant funding, including the purpose of the funding (for example, travel grant and speaker's fees), and to describe relevant patents, stocks, and shares that they own. Editors should publish authors' conflicts of interest whenever they are relevant, or a statement of their absence. If there is doubt, editors should opt in favor of greater disclosure. If authors state that there are no conflicts of interest, editors should publish a confirmation to this effect. Editors should manage peer reviewers' conflicts of interest. An invitation to review a manuscript should be accompanied by request for the reviewer to reveal any potential conflicts of interest and a request for the peer reviewer to disqualify or recuse themselves when these are relevant. When editors, members of editorial boards, and other editorial staff are presented with papers where their interests may be perceived to impair their ability to make an unbiased editorial decision, they should withdraw from discussions, deputize decisions, or suggest that authors seek publication in a different journal. COPE has published flowcharts that illustrate a suitable process for investigations of suspected undisclosed conflicts of interest. IAS asks authors for Articles must be written in good English in a clear and correct style in order to maintain uniformity throughout the text. Editors ensure for Articles/chapters submitted are copyedited before they are published. The Council of Science Editors presents the discussion of editorial independence in its White Paper on "Promoting Integrity in Scientific Journal Publications." The relationship between the editor and the journal owner and publisher should be set out in a formal contract. It may be useful to establish a mechanism to resolve disputes before one is needed in order to help resolve any disagreements speedily. Journal owners (whether learned societies or publishers) should avoid influencing editorial decisions. Editors' decisions about whether to publish individual manuscripts submitted to their journal should not be influenced by pressure from the editor's employer, the journal owner, or the publisher. Ideally, the principles of editorial independence should be set out in the editor's contract. It is appropriate for journal owners/publishers to discuss general editorial processes and policies with journal editors (for example, whether or not a journal should publish a particular type of article), but they should not get involved in decisions made by the editor about individual articles. IAS suggests that editors, journal owners, and publishers establish processes that minimize the risk of editorial decisions being influenced by commercial, personal, or political factors. Editorial decisions about individual papers should remain separate from the sale of advertising. Further discussion of editorial independence is presented by the Council of Science Editors in their white paper on integrity and in the COPE Code of Conduct for Journal Publishers. IAS publications have a mechanism for authors to appeal editorial decisions, to facilitate genuine appeals, and to discourage repeated or unfounded appeals. Editors allow appeals to override earlier decisions only when new information becomes available (for example, additional factual input by the authors, revisions, extra material in the manuscript, or appeals about conflicts of interest and concerns about biased peer review). Reversals of decisions without new evidence should be avoided. Editors should mediate all exchanges between authors and peer reviewers during the peer-review process. Editors may seek comments from additional peer reviewers to help them make their final decision. Journals should state in their guidelines that the editor's decision following an appeal is final. Errata and Corrections In Published Articles Authors and readers are encouraged to notify the Editor-in-Chief if they find errors in published content, authors’ names and affiliations or if they have reasons for concern over the legitimacy of a publication. In such cases, the journal will publish an ERRATUM in consultation with Editor-in-Chief and authors of the article, and/or replace or retract the article. Journals should work with authors and their publisher to correct important published errors. Journals should publish corrections when important errors are found and should consider retraction when errors are so fundamental that they invalidate the work. Corrections arising from errors within an article should be distinguishable from retractions and statements of concern relating to misconduct. Corrections should be included in indexing systems and linked to the original article. Corrections should be free to access. Articles that have been withdrawn by the author or retracted by the publisher will be accompanied with a notice that provides a reason why the article has been withdrawn or retracted. Articles in Press (articles that have been accepted for publication or published as E-pub Ahead of Schedule but which have not been formally published with volume/issue/page information) that include errors or are determined to violate the publishing ethics guidelines such as multiple submission, fake claims of authorship, plagiarism, fraudulent use of data or the like, may be “Withdrawn” from the journal. Withdrawal means that the article files are removed and replaced with a PDF stating that the article has been withdrawn from the journal in accordance with IAS Editorial Policies. IAS journal is open access and accepted articles are published online for free open access. Open access publishing provides maximum dissemination of the article to the largest audience. IAS requires authors wishing to make their article open access to sign an Open Access Agreement providing for the article to be made available under one of the Creative Commons Licenses in order to meet the terms of open access publication and ensure the widest possible dissemination. The Creative Commons website explains how these licenses work. These guidelines describe authorship principles and good authorship practices to which prospective authors should adhere too. All those designated as authors must meet up all four criteria for authorship. Substantial contributions to conception and design, acquisition of data, or analysis and interpretation of data. When a big, multicenter group has conducted the work, the group should identify the individuals who accept direct accountability for the manuscript. The IAS Journal and IAS assume all authors agree with the content and that all gave explicit consent to submit as well as obtaining consent from the responsible authorities at the institute/organization where the work has been carried out before the work is submitted. IAS ask from All authors are requested to include information regarding sources of funding, financial or non-financial interests, study-specific approval by the appropriate ethics committee for research involving humans and/or animals informed consent if the research involved human participants, and a statement on the welfare of animals if the research involved animals (as appropriate). Please check the Instructions for Authors of the Journal that you are submitting to for specific instructions regarding contribution statements. These contributions of each author should be listed at the end of the submission. For articles that are based primarily on the student’s dissertation or thesis, it is recommended that the student is usually listed as the principal author. The primary affiliation for each author should be the institution where the majority of their work was done. If an author has subsequently moved, the correct current address may additionally be stated. Addresses will not be updated or changed after publication of the article. Authors are advised to ensure the correct author group, the Corresponding Author, and the order of authors at submission. Changes of authorship by adding or deleting authors, and/or changes in Corresponding Author, and/or changes in the sequence of authors are not accepted after acceptance of a manuscript. At the revision stage change in name based on IAS mechanism. Authors are recommended to use their Manuscript ID when submitting an article for consideration acquire through registration on the website as an author. In the case of an authorship dispute during peer review or after acceptance and publication, the Journal will not be in a position to investigate or adjudicate. Authors will be asked to resolve the dispute themselves. If they are unable, the journal reserves the right to withdraw a manuscript from the editorial process or in case of a published paper raise the issue with the authors’ institution(s) and abide by its guidelines. Authors should treat all communication with the Journal as confidential. Journals should request that authors list all funding sources in an Acknowledgments section. If there is no specific funding, then this should be stated. The role of the research funder beyond providing funding itself should also be described. It may be important to disclose, for example, if a commercial organization funded the study, designed the study, and also recruited the investigators. Other sources of support should be clearly identified in the Acknowledgments section of the manuscript. For example, these might include funding for open access publication, or funding for writing or editorial assistance, or provision of experimental materials. All contributors who do not meet the criteria for authorship should be listed in an acknowledgments section. Examples of those who might be acknowledged include a person who provided purely technical help, financial support, writing assistance, or a department head which provided only general support. 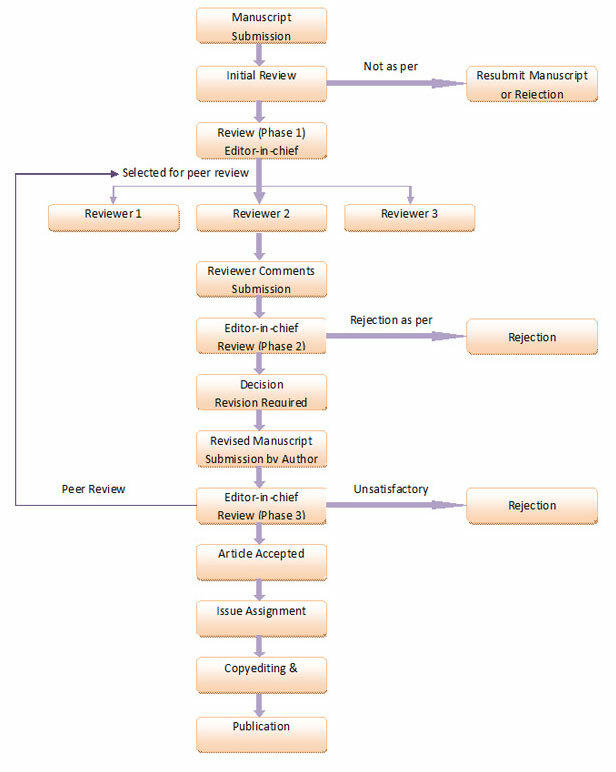 To manage authorship disputes, editors should refer to the flowcharts from COPE and "How to spot authorship problems." The publication is licensed under CC-By and is open access. Copyright is with author and allowed to retain publishing rights without restrictions. IAS journals are open access journals, free to access, read and print. There is no pay-per-view, pay-per-print fee for the published articles. There are no editorial/peer review charges being solicited from the authors. However, the journal charges a minimum amount towards author registration (on the accepted article, after peer review) for publishing and maintaining the content online, outsourcing facilities, tools and resources towards publication of the article. For details of the fee of various journals published by IAS, please visit their respective websites.